3) Did you know that the nine (9) historically Black fraternities and Sororities of the NPHC, many of which were founded in the early 1900's, have produced many of the most notable figures of the Black community? Including, but certainly not limited to: Dr. Martin Luther King, Jr. and Quincy Jones (Alpha Phi Alpha); Corretta Scott King and Jada Pinkett-Smith (Alpha Kappa Alpha); Johnnie Cochran and Cedric the Entertainer (Kappa Alpha Psi); Jesse Jackson and Steve Harvey (Omega Psi Phi); Betty Shabazz and Nikki Giovani (Delta Sigma Theta); Huey P. Newton and Jerry Rice (Phi Beta Sigma); Zora Neale Hurston and Dionne Warwick (Zeta Phi Beta); Vanessa Bell Armstrong and MC Lyte (Sigma Gamma Rho); Bobby Rush and Terrence "T.C." Carson (Iota Phi Theta). 4) Did you know that in 1968 Shirley Chisholm became the first Black woman ever to be elected to Congress? She was a Democrat from New York elected to the United States House of Representatives, representing New York's 12th Congressional District, which includes parts of Brooklyn, Queens, and lower Manhattan. After her first term, she was re-elected 6 more times, serving in Congress from 1969 through 1983. In 1972, she made history again as the first Black person, male or female, to run for President of the United States on a major-party ticket (Democrat or Republican ticket), and also the first Female Democrat to ever run for President, paving the way for Geraldine Ferraro (Vice Presidential candidate 1984) and Hillary Clinton (2008). Ms. Chisholm's campaign slogan was "Unbought and Unbossed." 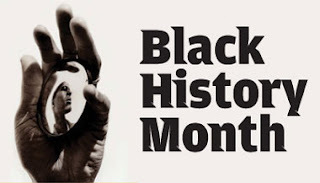 5) Did you know that Black people were granted the right to vote on February 3, 1870 (81 years after the country was founded) when Congress passed the 15th Amendment to the United States Constitution? It was decided nearly 100% along party lines, with all of the Democrats in the House of Representatives voting AGAINST it, and nearly all of the Republicans voting FOR it. As an important side note, it has been rumored throughout the Black Community for quite some time that our right to vote is a temporary Act that will expire in the near future. This is incorrect. A constitutional amendment never expires, thus, our right to vote will never expire. The rumor that our right to vote will expire stems from a misunderstanding about the Voting Rights Act of 1965, which is a temporary Act created to enforce voting rights primarily in the southern states that were employing tactics such as literacy tests or property ownership requirements in order to prevent Blacks from voting. This particular Act itself does expire, but it has been renewed four times and remains in effect today. 6) Did you know that on February 21, 1965, Malcolm X (born Malcolm Little, later changing his name to El-Hajj Malik El-Shabazz), a man who undeniably devoted his life to the betterment of Black people, was shot to death by three Black men while giving a speech at the Audubon Ballroom in the Washington Heights area of New York City? 7) Did you know that, before there was an Oprah Winfrey, the first Black female millionaire was Madam C.J. Walker (born Sarah Breedlove) who established her wealth between 1907 to 1919? She was born in Louisiana to parents who were slaves, and she made her fortune by inventing and manufacturing a line of hair and beauty products for Black women. In addition to becoming a millionaire, Ms. Walker used her money to help improve the Black community. She hired Black workers and paid them competitive wages in a time when many Blacks were not allowed to work for White companies, and she contributed heavily to schools, scholarships and educational programs for Black students. She also became heavily involved in politics and she organized and led other Black leaders to a meeting at the White House to press for federal anti-lynching laws. At the time of her death in 1919, over 40,000 Black women were employed by Madam C.J. Walker and her beauty line had customers all throughout the United States, Central America, and the Caribbean. She left over 2/3 of her Estate to HBCU's and charities. 8) Did you know that open heart surgery was invented by a Black man in 1893 - Dr. Daniel Hale Williams? 9) Did you know that the first Black actor to win an Academy Award (the "Oscar") was Sidney Poitier in 1963 for his role in the movie Lilies of the Field? 10) Did you know that in 1848, Benjamin Roberts filed the first school integration law suit on behalf of his daughter, Sarah Roberts, who was barred from a white school in Boston. In Plessy v Ferguson, the United States Supreme Court would use the Boston court's tragic justification of segregation to validate its own support for the doctrine of "Separate but Equal." It would take more than 100 years before Congress codified its rejection of this judicially sanctioned doctrine with the passage of the Civil Rights Act of 1964. 11) Did you know that that on February 23 in 1868, W.E.B. 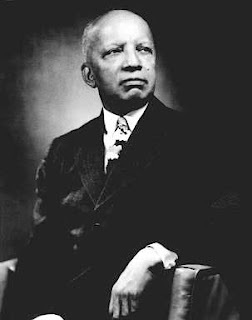 DuBois, civil rights activist, Pan-Africanist, sociologist, educator, historian, writer, editor, poet, and co-founder of the National Association for the Advancement of Colored People (NAACP), was born? 12) Did you know that the first Black Quarterback to win the Superbowl was Doug Williams for the Washington Redskins in 1988. He led his team to victory in Super Bowl XXII. 13) Did you know that Slavery in the United States was abolished on December 6, 1865 by the 13th Amendment? Did you also know that this Amendment was a codification of President Lincoln's Emancipation Proclamation which announced the official end of slavery on September 22, 1862, with an effective date of January 1, 1863? Some states, however, were slow to spread the word of this law. For example, in Texas, former slaves did not find out about the end of slavery until June 18th or June 19th of 1865, nearly 2 years after President Lincoln's announcement. When the former slaves in Texas finally found out that they were no longer property, they marked the date as a holiday known as "Juneteenth" (a play on words of "June" and "nineteenth") which is still celebrated by the Black community in many states to this day. 14) Did you know that Denzel Washington's movie "The Great Debaters" is based on a true story about the historically black college, Wiley College, and its debate team during the jim crow south of the 1930's? However, did you know that the debate team of Wiley College did not debate Harvard, but in fact, debated (and defeated) the University of Southern California who, at the time, were the reigning debating champions? 15) Did you know that in August of 1999, Air Force Major Shawna Rochelle Kimbrell became the first Black Female fighter pilot for the United States Air Force? 16) Did you know that there have been 9 Black CEO's of fortune 500 companies? The 6 current CEO's are: 1) Kenneth Chenault - American Express; 2) Clarence Otis, Jr. - Darden Restaurants (Olive Garden, Red Lobster, etc. ); 3) Rodney O'Neal - Delphi Corp.; 4) Ronald Williams - Aetna; 5) Ursula Burns - Xerox; 6) Richard Dean Parson - CitiGroup. The former CEO's are: 7) Stan O'Neal - Merril Lynch; 8) Aylwin Lewis - Sears Holding Co (Sears & K-Mart); 9) Franklin Delano Raines - Fannie Mae. 17) Did you know (b/c we sure hope you do) that Jackie Robinson was the first Black baseball player to play in the major leagues? He played for the Brooklyn Dodgers in 1947, won the MVP award in 1949 (among other records), and was inducted in the Baseball Hall of Fame in 1962. 18) Did you know that of the 1000's of men and women to serve in the United States Senate, there have been only 6 Black people in the history of the United States to hold that office? 1) Hiram Rhodes Revels (R) Mississippi 1870; 2) Blanch Bruce (R) Mississippi 1875; 3) Edward William Brooke III (R) Massachusetts 1967; 4) Carol Moseley Braun (D) Illinois 1993; 5) Barack Obama (D) Illinois 2005; 6) Roland Burris (D) Illinois 2009. 20) Did you know that Booker T. Washington and W.E.B. DuBois held fundamentally opposing views on how to better the Black community in 1909 that are still largely repeated with today's Black leaders 100 years later? 22) Did you know that before there was Obamania there was Joe Louis? Joe Louis held the Heavyweight Boxing Championship belt for 12 consecutive years from 1937 to 1949 and was considered by many to be the first Black hero of the Black Community. Every time Louis had a fight, millions of Blacks (and Whites) would listen intently to the radio and, upon his victory, would take to the streets to march, dance, cry and rejoice. To many Blacks in the segregated south, Louis served as a beacon of hope. Louis had 68 wins, 51 wins by KO, and only 3 losses (yes, including Rocky Marciano) during his career; his record remains intact today for the longest held boxing championship title in the history of boxing.